PENHOLD — After working closely with one Sutter, Ryan Colville is eager to work with another member of the famous hockey family. The Milton, Ont., native was the Los Angeles Kings’ video coach when the team captured the Stanley Cup in 2012. 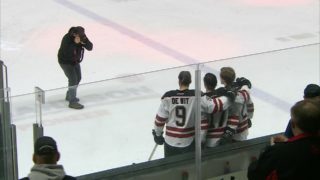 Darryl Sutter was the Kings head coach at the time and Colville’s new boss is Brent Sutter, the Red Deer Rebels general manager and bench boss. 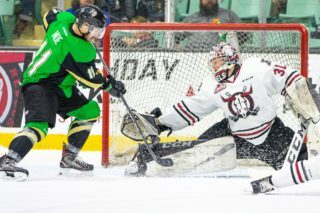 “I think the familiarity with how Brent does things,” said Colville, explaining why he applied for the position of assistant coach with the Rebels who completed their first of three spring prospects camp sessions Friday at the Penhold Regional Multiplex. “I worked for Darryl for a long time and you kind of look at stuff like that when you’re looking for a new job. 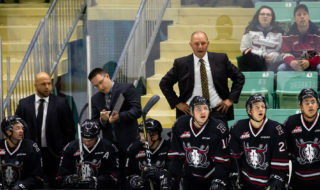 Colville, who along with Brad Flynn was hired as a Rebels assistant coach in early May, was the Kings video coach for five seasons — from 2008 to 2013 — then moved to Cincinnati, where he purchased a junior A team — with his father Jim — and ran the operation as president, GM and head coach. He sold the club after three seasons and last winter conducted hockey clinics in Cincinnati. Colville brings various skills to the Rebels, including the ability to break down systems via video. “With my video background, I was around some of the top coaches at the highest level,” said Colville, who while attending Ohio State University worked with the Columbus Blue Jackets for three years as an assistant video coach under head coaches Gerard Gallant and Ken Hitchcock before heading to Los Angeles. “I was young in that world and I think that helped me pick up a lot of system play and understanding how to teach it and how to implement video. Kids today are very visual orientated, and I think video is a tool that when used correctly can be really helpful. 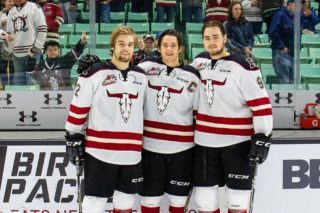 Colville is seeking success at the major junior level six years after winning hockey’s ultimate prize. “It was a thrill, it was exciting,” he said of the Kings’ Stanley Cup run. “It was a funny year, we changed coaches halfway through the season (as Darryl Sutter replaced Terry Murray) and finished as the eighth seed (in the Western Conference). 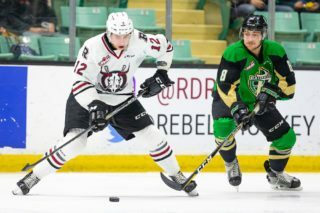 The Rebels prospects camp continues Saturday from 3:45 to 5:45 p.m. and concludes Sunday with on-ice sessions from 9 to 11 a.m.